Every office owner dreams of an office chair that can deliver comfort, good seating posture and add a tad of style to your office. The EverKing Ergonomic Office Desk Chair provides that and so much more. It will fit right in with almost any office décor and the fact that it is not too bulky and does not take up much of your space is also a feature worth noting. However, like most good things, a hefty price is attached to this chair. This begs the question, is this office chair worth the price, or just another overpriced office furniture with little to offer? Find out in the review below. The sole purpose of Everking products is to provide the users of their products with an ultimate solution to their office needs. Their office chairs are targeted at individuals who plan to spend long hours working in the offices, giving them comfort and most importantly, a good sitting posture. As such, the company has continually provided upgrades to their existing products including the EverKing office seats by enhancing many features. One of the enhanced features that stands out the most is the Lumbar support which is quite prominent in the EveKing Ergonomic Office Desk Chair. 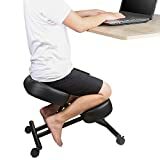 If you are seeking a chair that will support your long hours in the office without the burden of back pain, this is the seat should be on your list. Due to the ease of installation and different levels of adjustability, this office chair is suitable for use by people from all walks of life. Take for instance the height adjustability which helps include both tall and short individuals on the list of potential users. The only restriction you might face is the high price tag attached to this chair. However, the steep price matches its value as it is rigged with worthy features. The EverKing ergonomic desk office chair comes with an installation package which includes a step by step manual on the proper assembly of the chair and getting it to work. The instructions spell out how to count the provided bolts and screws that aid in the actual construction of the chair and making it work. Additionally, the chair has a thirty-day money back guarantee in case the services offered are not up to your expectations. To top it off, a 2-year warranty is provided with the purchase of this chair. The chair is modernized using the breathable high-density material that is used to make the back and the seat cushion. Therefore, air circulation is smooth, and your comfort is assured as you use the chair. The armrests can adjust in height accommodating people of all sorts of height and shoulder breadth. 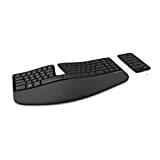 It also provides no restrictions from reaching your desk on top of providing great support for your arms. It comes with the ability to rotate up to 360 degrees, tilt lock, height adjustability, headrest and tilt action. 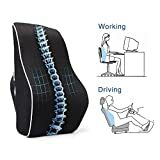 This ensures that you don't stay stuck in one sitting position which saves your spine from alignment issues and your back from constant aching. Durability, easy to maintain and stylish. Just a look at this chair and you are sold on style and design. The fact that it is made of mesh makes it easy to clean and quite durable. A 2-year warranty is provided to squash any doubts you might have on its durability. Suitable for long hours of work due to the adjustable features as well as lumbar support. Long lasting as it contains durable material and a sturdy frame. Take out all the parts in the box as you isolate and arrange the various pieces of the chair. Use the screw head bolts to attach the receiver to the bottom of the seat piece and ensure they are tight. Let the elbow tongue slide onto receiver as you bolt the top part onto the back pieces. Pin all the wheels into the legs with a lot of energy to ensure they are firm. Position the plastic back cover over the back of the chair and let it slide slowly into place. Use some energy to push the neck into the base legs of the chair and ensure securely in position. Find the neck piece and rotate the top of the chair onto the piece until it is firm and stable for use. 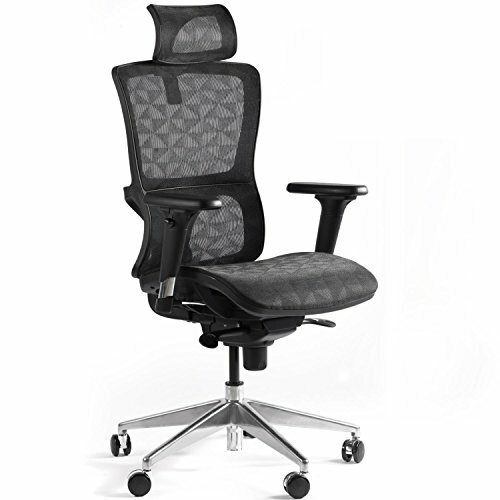 Although the EverKing Ergonomic chair is a great chair, it falls short of perfection due to its weak back mesh. If this is a deal breaker for you, there is an alternative for you. The CCTRO high back office chair. It comes with a tough mesh back and a pocket-friendly price compared to its EverKing counterpart. I think the features of this chair pretty much speak for themselves. You can, therefore, expect an easy time using this chair and an even easier time assembling it. The fact that it has a warranty and a money back guarantee makes it a much more worthy investment. I know you are probably thinking of the weak mesh back and how it can wear out on you, but truth be told, that will take more time than you can imagine.